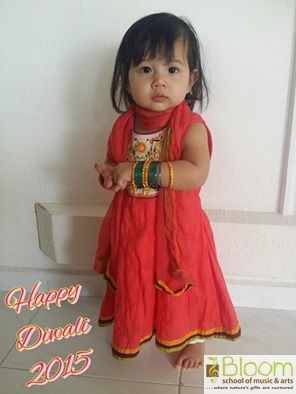 Deepavali is known as the ‘Festival of Lights’, and it is a public holiday in Singapore, celebrated by Hindus, Sikhs, Jains and Buddhists. Diyas (oil lamps) are lighted, and rangoli (designs made with coloured chalk, flour or rice) are created at the entrances and walkways of many celebrants’. Diwali, as it is also known, is a bright and colourful event celebrating the victory of good over evil. No celebration is without music of some kind, so with the holiday spirit, let’s find out more about some of the musical instruments used in Indian music. There are two major types of classical Indian music: Hindustani music of Northern India, and Karnatak music of Southern India. Both Hindustani and Karnatak music use a system of ragas and tala. The ‘”tala is a system of rhythmic structures based on the combination of stressed and unstressed beats”—rhythmic framework (Allen Roda, 2009). And the ragas (melodic frameworks) are sets of pitches and small motives used to form melodic rules and patterns which help a musician create his unique performance. 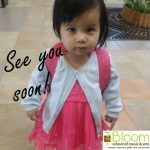 The musical instruments used in Indian classical music are the murali (bamboo flutes), the (surprise!) violin, and the more familiar sitar and tabla. The musicians of Hindustani classical music are renowned to be instrumentalists (skilled instrument players), while musicians of Karnatak classical music are renowned to be virtuosos (skilled singers). Good to know: Instruments that are slightly different in construction are identified by the same name in both North & South India, even though they might be used differently. The names used for Indian musical instruments and musical concepts are transliterations of the original terms. Over time, there will be inevitable discrepancies in spelling when rendering these terms in English. ‘Sitar’ is derived from the Persian word ’sehtar’ meaning ‘three-stringed’. Predominant in Hindustani classical music, it is a chordophone (string instrument) similar to the lute.It measures about 1.2m in length; has a pear-shaped gourd body, a long, wide and hollow wooden neck; front and side tunings pegs; metal strings, and 20 arched movable frets. 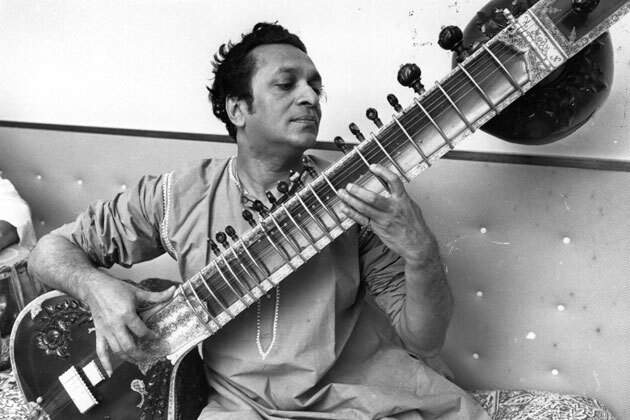 There are five melody strings; one to two strings for the tala, and up to 13 sympathetic strings beneath the frets in the neck that are tuned to the ragas. “Musicians hold the sitar at a 45° angle on their laps while seated. They pluck the strings with a wire plectrum worn on the right forefinger while the left hand manipulates the strings with subtle pressure on or between the frets and with sideways pulls of the strings”. 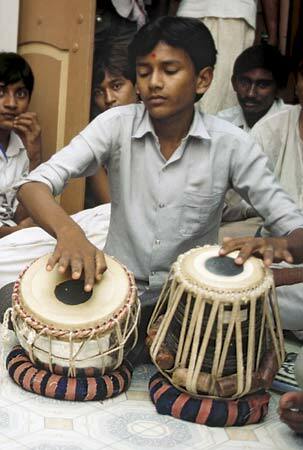 The tabla is a pair of drums also predominant in Hindustani classical music. Musicians use their hands to play each drum. The right, a single-headed drum made of wood with two truncated cones bulging at the centre, is known as the daya (meaning ‘right’). The daya is tuned to the raga, and is of higher pitch than the left drum, the baya, meaning ‘left’. The baya is a deep kettledrum made of copper, clay or wood. The drum face measures 20cm in diameter, and is attached to a hoop and thong lacings to maintain skin tension. Pressure from the heel of the musician’s left hand changes the tone’s colour and pitch. Musicians play the tabla while seated, creating sounds from the drum through a variety of finger and hand strokes. 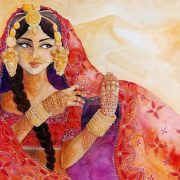 The tala is reflected through the intricate music of both drums. 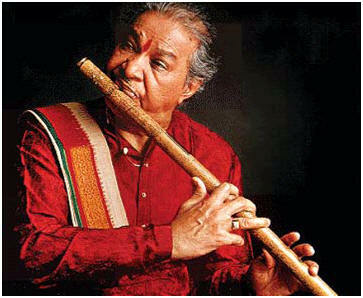 The bansuri, also known by the name murali, is a common side-blown Indian flute, usually made of bamboo or reed. The type more predominantly used in Hindustani classical music is the transverse variety, because of added flexibility and control of the embouchure (the use of facial muscles and the shaping of the lips to the mouthpiece of woodwind instruments). Typically, it has six holes, used to play the melodies. 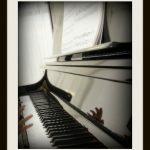 But in the recent years, a seventh hole is added to extend the range of the instrument by one note; its intangible existence gives the murali a more accurate pitch when overblown, to produce higher octaves. Musicians use their finger pads (approximately one inch in from the finger tips) to play the murali, for more control when playing the half-holes. The 7 holes are tuned as such; half-step, whole step, whole-step, half-step, whole-step, whole-step, whole-step. There are so many types of Indian musical instruments such as the sarod, tambura, sahnai, sarangi, vina, mrdangam, and kanjira. But for now, see some of these instruments at work, and just enjoy some beautiful Hindustani classical music!